"We've got Newt in a speedo!" Fantastic Beasts & Where To Find Them introduced a new take on the world of Harry Potter and his wizarding ways, with the 1920's New York setting and our two new heroes, Newt Scamander and Tina Goldstein. This year's sequel, The Crimes Of Grindelwald, sees the gang chasing down Johnny Depp's evil Muggle-hater Grindelwald all across Paris, and in the lead-up to the release of the new movie, JOE was lucky enough to sit down with some of the cast to talk about the new magical blockbuster. 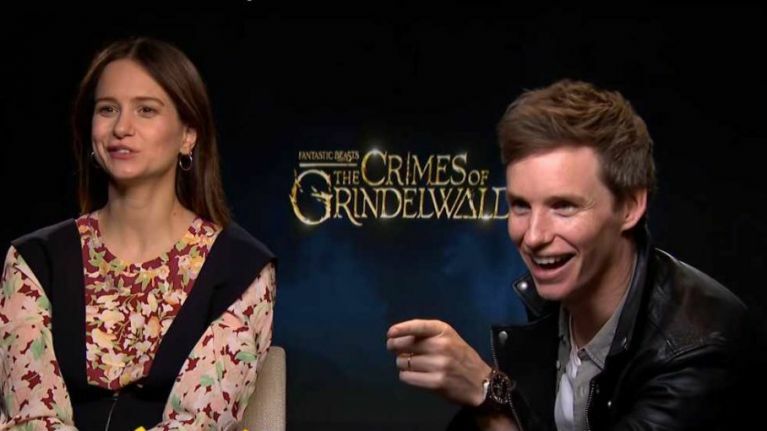 You can check out our interview with Ezra Miller (Credence Barebone) and Claudia Kim (Nagini) right here, but below you can see our chats with Eddie Redmayne and Katherine Waterston. Redmayne: "We found out, literally getting off a plane, we were all on the plane together, promoting the film, and we got off and found out that Jo had tweeted that some of the next film will be set in Rio de Janerio, so we literally found out with the rest of the world." Waterston: "Oh look, she said it on Twitter, so everybody knows now." 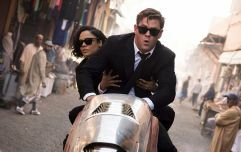 Redmayne: "Rio, I mean, it will just be Newt and Tina in Speedos and bikinis!" Waterston: "You're putting me in a Speedo??" Redmayne: (pointing to his own face, incredulously) "Getting a nice tan! More freckles! Sunburn!" So there you have it. Fantastic Beasts 3: The Sunburn From Rio!